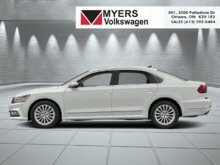 Navigation, Sunroof, Driver Assistance Package! 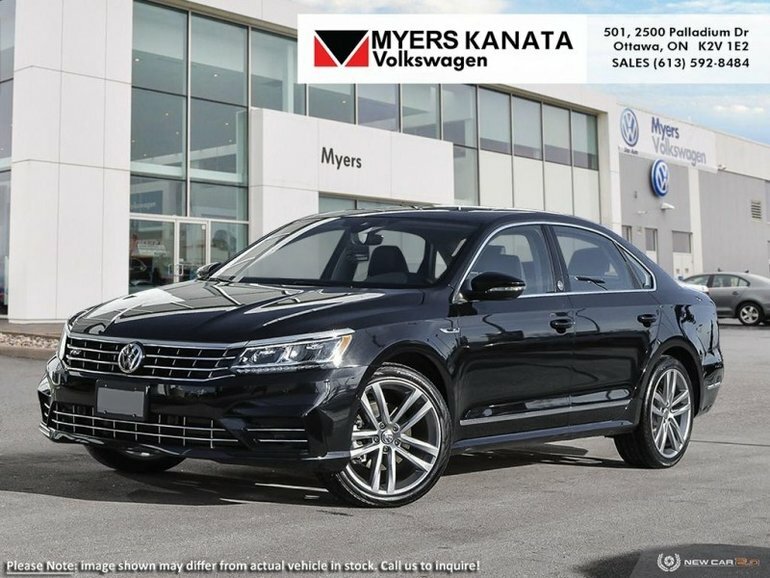 This 2019 Volkswagen Passat is one of the few to offer such an unrestrained interior, allowing for excellent comfort for 5 adults and room to spare. 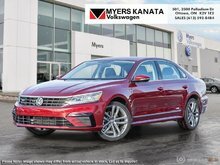 This 2019 Volkswagen Passat has managed to become one of the most elegantly styled sedan's within its class. With a timid design, a ultimately comfortable and roomy interior and excellent ride quality set it aside as the crisp, well-tailored gentleman's vehicle that doesn't practice flamboyance or high performance. 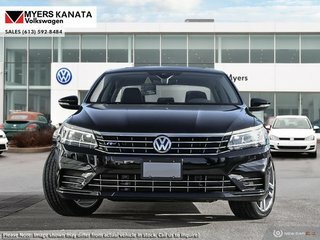 Created to offer a pleasurable ride, this 2019 Passat exudes serenity, peace and comfort above all. 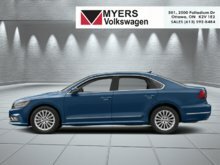 Our Passat's trim level is Wolfsburg Editon Auto. 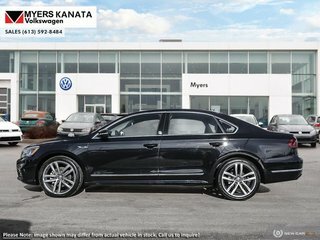 This Elegant Volkswagen Passat Wolfsburg edition comes very well equipped with such options as a powerful engine mated to a 6 speed automatic tiptronic transmission, body colored heated side mirrors with turn signals, LEd brake lights, a powerful Fender premium 6 speaker stereo paired to a 6.33 inch display, App-Connect smartphone integration, Bluetooth connectivity, heated front sport seats, a leather and piano black surfaced steering wheel, proximity keyless entry and push button start, dual zone automatic air conditioning, distance pacing cruise control, remote power cargo access, leather seat trim, metal look interior panel inserts, blind spot detection sensor, front collision prevention assist with autonomous emergency braking, rear cross traffic alert, a rear view camera and much more. This vehicle has been upgraded with the following features: Navigation, Sunroof, Driver Assistance Package. 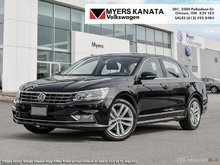 Ce véhicule, Volkswagen Passat Wolfsburg Editon Auto 2019 vous intéresse?